'Idle Chatter' (Joseph Ghio, R. 2002) Seedling #BP-249P2. CA, 11" (28 cm). Late to very late bloom. 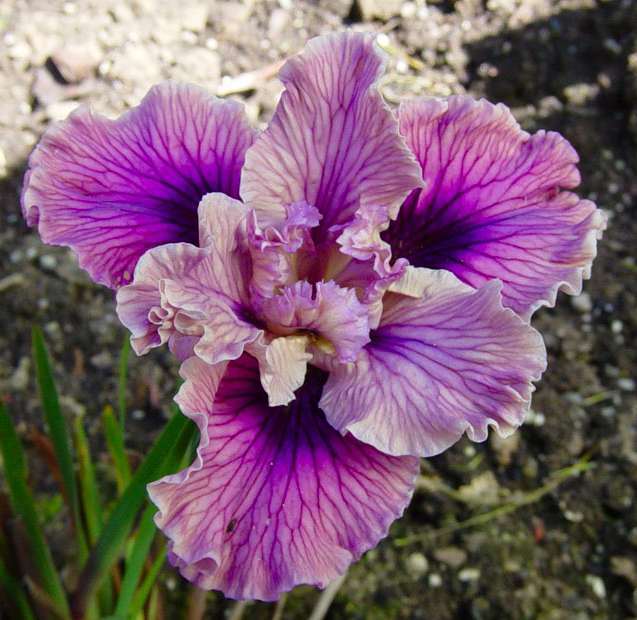 Silvery lilac with deeper veining, falls with large neon violet signal. 'Raspberry Dazzler' X 'Baby Blanket'. Bay View 2002.